1. A sudden manifestation of the essence or meaning of something. 2. A comprehension or perception of reality by means of a sudden intuitive realization: ?I experienced an epiphany, a spiritual flash that would change the way I viewed myself? (Frank Maier). 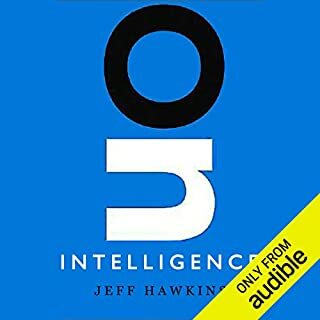 Jeff Hawkins proposes a theory for how the mind works that rings true. I found this book to be a profound mind-expanding experience, allowing my mind to finally understand how my mind works. I am a 45-year old Software Engineer strongly tempted to take up Hawkin's call to young scientists to join the new revolution that will take place as we learn how to apply this model of mind to computers. This book will probably be of most interest to people who are interested in both computers and psychology, but I think many people who are not interested in computers will still find this book fascinating. Anyone who is interested in the miracle of consciousness and sentience should read this book. Another reviewer complained that the "ghost narrator" is a poor reader. This narrator is Stephan Rudnicki, a professional voice actor with a deep, resonant voice. He is one of the reader's on the Ender's Game series. There is something about his voice that is a bit unsettling, but I would never call it simpering. Overall, I think he was an excellent choice for narrator for this book. Note: there are some figures/diagrams in the printed book that can be downloaded from audible.com. The link is on the main page for this book. ... that book 2 hasn't been published yet, so who knows when Audible will be carrying it! I very much enjoyed both the story and the reading, and my only disappointment was that I couldn't start the 2nd book right away. This was one of those books where several times after finishing my 55 minute commute I sat in the car and listened for a few minutes longer. 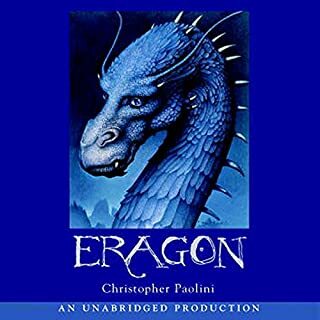 It isn't as rich or well-written as Tolkien's Lord of the Rings, and I wish that Paolini gave his protangonist a name that wasn't so similar to Tolkien's Aragorn, but these aren't really complaints. This is an impressive first work from such a young author.